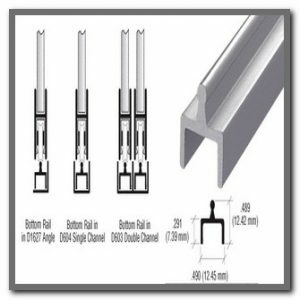 C Sash Universal Storm Window Frame is the quality made, all-in-one glass framing material for the fabrication of secure, high-performance storm window and door panels. 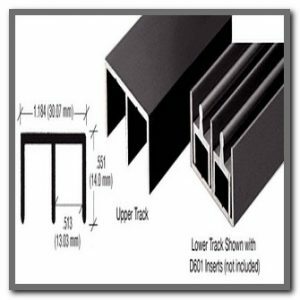 The frame accepts single or double strength glass or acrylic up to 1/8 inch (3 millimeters) thick, which makes it perfect for interior or exterior recessed or surface mounted panels. 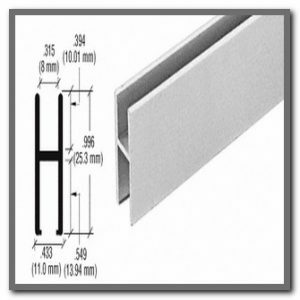 Pre-installed vinyl gasket holds the glass or acrylic, eliminating the need for messy adhesives used with most other types of storm window frames. 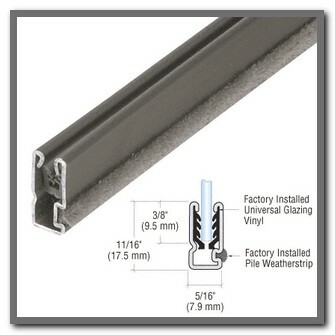 Built-in pile weatherstripping helps eliminate air infiltration between the secured panel and the window frame. A roll-formed aluminum body gives the frame rigidity while allowing the panel to remain lightweight enough to install and remove seasonally.